Mifalot Education and Society Enterprises (“Mifalot”) is the largest and most diverse sport for development and peace organization operating in the Middle East. 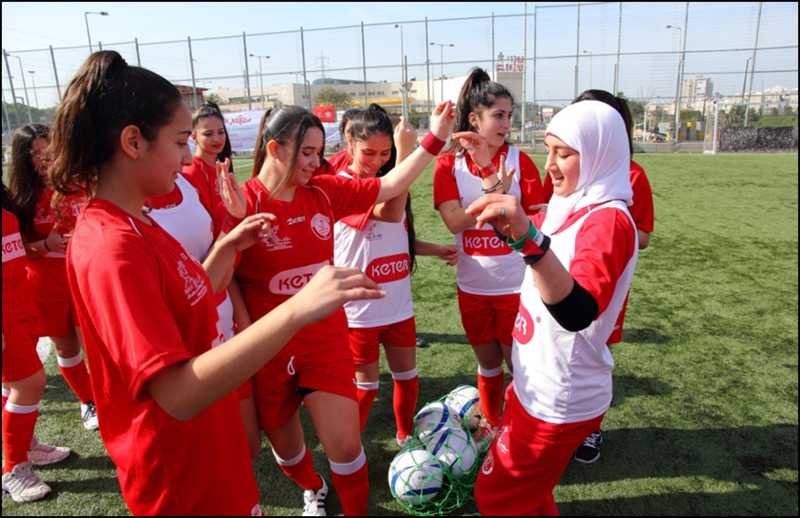 Founded in 1997 by the then owners of the Hapoel Tel Aviv football team, our mission is to use sport to create positive social change by way of life skills training for disadvantaged populations and promote understanding and coexistence among different groups in Israel and the region. Mifalot harnesses the power of sport for enrichment and values education, to teach life skills to children with special needs, promote the integration and inclusion of immigrants and refugees, and create bonds of friendship among children from diverse backgrounds, as well as helping them to maximize potential and ability. Mifalot has over 26,000 annual participants, from underserved peripheral communities, in over 500 programs across Israel, the West Bank, and Jordan. Israel's multi-layered society consistently faces challenges such as educational, social and achievements-related gaps between its center and peripheral regions, both Jewish and non-Jewish, newcomer and native. Compounding this issue is a trend towards the exclusion and misunderstanding of those “not like us,” especially among youth. Mifalot's approach suggests the use of sports in general, and soccer in particular, as a vessel for social change. Program evaluations and feedback have shown that teachers, parents and civic leaders believe the projects have made a real difference in their communities. With over seventeen years’ experience in developing and implementing local projects, Mifalot's activities have become rooted in many neighborhoods where the children don’t have much else in the way of informal education. Mifalot's programs impact Arab Israeli communities in 7 main ways: shared society; personal development; community empowerment; special needs populations; civil rights; female empowerment; and employability.